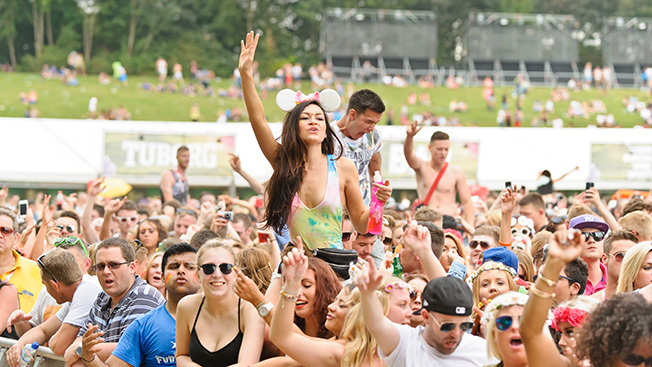 The Electric Daisy Carnival is one of the biggest electronic dance music festivals of the summer, spanning three days and attracting hundreds of thousands of partiers. It's also a breeding ground for cutting-edge advertising, and EDC and its marketing partner Live Nation have forged deals with a total of three major digital players to attract brands. And like so many initiatives nowadays, mobile is at the center of it all. 1. Bud Light and Smirnoff will be targeting concertgoers with mobile ads thanks to Live Nation's work with Aloompa, a beacons company. Data from Live Nation's Fan Connect platform will be used to zero in on drinking-age folks throughout their festival experience, including on Live Nation's app, with items such as virtual passes (see Bud Light example) for around the concert grounds. 2. 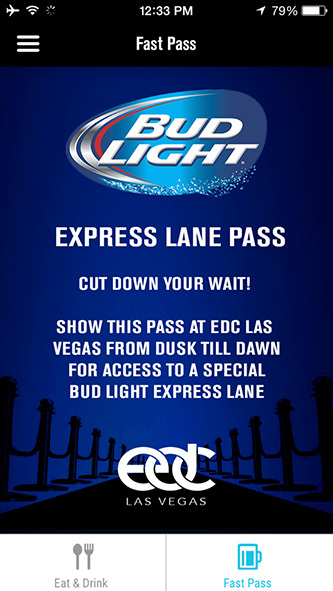 EDC will be livestreamed via Yahoo Screen, and 7Up will be the sponsor. One rep for the initiative said mobile engagement and viewership will be "a key component" to the initiative. Video, display and native advertising will also be sold on Yahoo properties during the show. 3. Last but not least, Live Nation has partnered with Snapchat to capture content from EDC via the popular mobile app's Live Stories feature, per Variety. Whether or not brands appear in the content hasn't been revealed. The deal appears to be more about Live Nation marketing itself rather than a beer, liquor or soda.